VEGAN Products Maria Nila NOW AT Aurelio Salon! 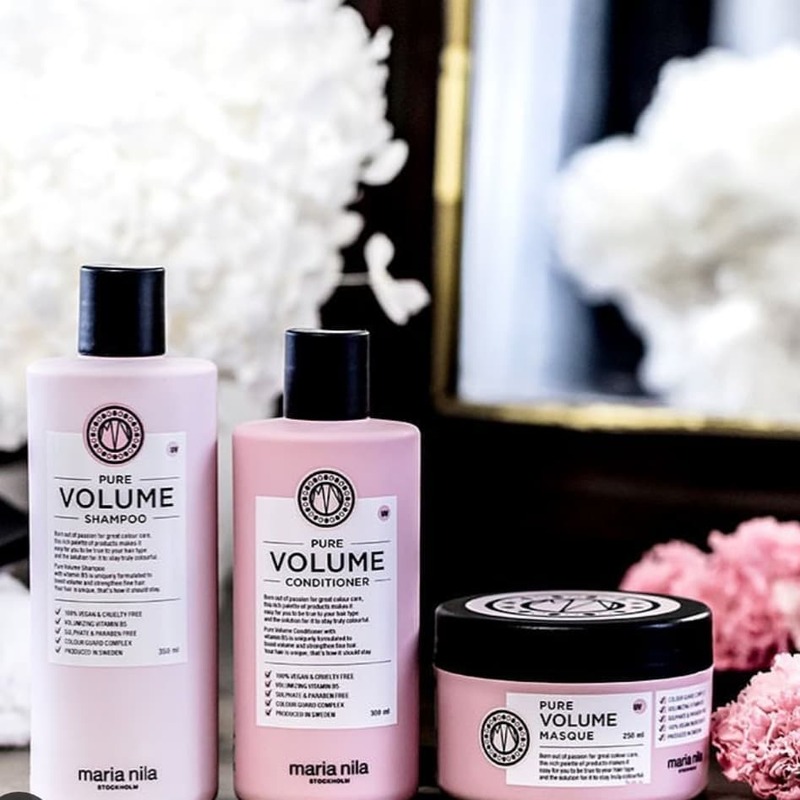 Maria Nila Hair Vegan Hair care Products are now at Aurelio Salon. Pure Volume is a volumizing shampoo that has Vitamin B5 in it that thickens fine hair and adds body to it as well. Added bonus it strengthens the hair structure. The product is free from sulphates and parabens. The benefits of Vitamin B5 is that adds volume and vitality with a long lasting result. The Colour Guard Complex will protect hair and reduces the loss of colour associated with washing, heat styling, UV rays and free radicals. So bring on the color treated Hair!